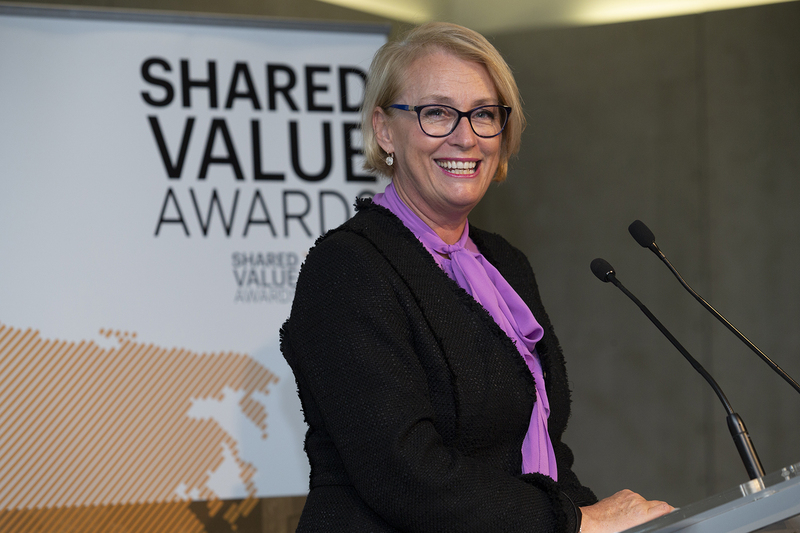 The Honourable Lord Mayor of Melbourne, Sally Capp, acknowledged business leaders for embracing shared value as a means to make social impact and profit, during her opening address at the 2018 Shared Value Awards presentation event, on 18 October. In her address, the Lord Mayor stated that business must play a role in helping solve our complex and varied social and environmental issues. The Lord Mayor acknowledged business leaders in the room, many early adopters of the shared value business strategy, for being part of the solution. The Lord Mayor spoke of the tri-sector approach that is required to solve Melbourne’s most pressing social and environmental issues, as governments and not-for-profits cannot solve these issues on their own. Calling upon the shared value community to work with government to identify opportunities for collaboration, the Lord Mayor highlighted the opportunity for local government to act as a convenor and a leader of shared value discussions and collaborations. The 2018 Shared Value Awards were presented to the organisations and individuals leading the shared value movement in Australasia. Read about the winners and highly commended here.